The need to reform water policies is as urgent as ever. Water is essential for economic growth, human health, and the environment. Yet governments around the world face significant challenges in managing their water resources effectively. The problems are multiple and complex: billions of people are still without access to safe water and adequate sanitation; competition for water is increasing among the different uses and users; and major investment is required to maintain and improve water infrastructure in OECD and non-OECD countries. Despite progress on many fronts, governments around the world are still confronted with the need to reform their existing water policies in order to meet current objectives and future challenges. Building on the water challenges identified by the OECD Environment Outlook to 2050, this report examines three fundamental areas that need to be addressed whatever reform agendas are pursued by governments: financing of the water sector; the governance and institutional arrangements that are in place; and coherence between water policies and policies in place in other sectors of the economy. 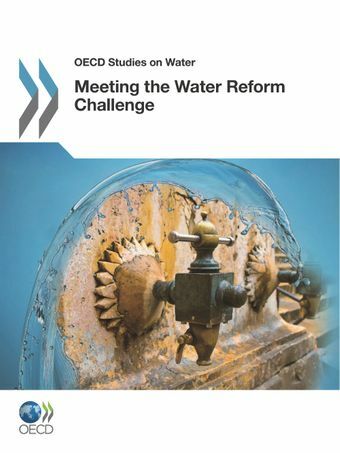 The report provides governments with practical advice and policy tools to pursue urgent reform in their water sectors.